Stocks were higher Thursday, following three straight days in the red for the S&P 500 and Nasdaq. The Dow rose more than 100 points and closed above 16,000 for the first time ever. The blue chip index first crossed that psychological milestone earlier this week. 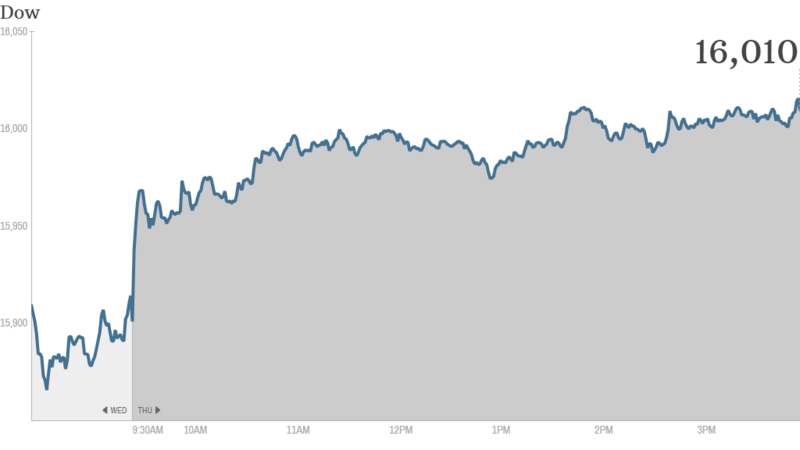 The S&P 500 also gained ground up, while the Nasdaq rose more than 1%. The market moved higher even as investors parsed through lackluster earnings from retailers and tried to make sense of the latest signals from the Federal Reserve about its bond-buying program. Target (TGT) shares slumped after the discount retailer reported lower-than-expected comparable same-store sales for the third quarter. Target blamed "an environment where consumer spending remains constrained" for the weakness, a troubling sign ahead of the key holiday shopping period. Target also trimmed its profit forecast for the year. Still, one StockTwits trader remained bullish on Target, and said that the slide in the stock was a buying opportunity. "Just started a position in $TGT," said kknezovich. "Fantastic business. Undervalued, despite the mixed quarter. Bullish." Dollar Tree (DLTR) shares also took a tumble after the discount retailer's earnings missed expectations. The company also lowered its guidance for the year. But StockTwits trader retail_guru pointed out that although Dollar Tree's earnings came up short, its same-store sales were much stronger than those of Target and Wal-Mart (WMT). "Dollar Tree 3.1% comp miles ahead of -0.3% comp at Walmart & 0.9% comp at Target," he said. "Big boxes have no easy answers to $ stores $DLTR $TGT $WMT." Abercrombie & Fitch (ANF) posted a quarterly loss and CEO Mike Jeffries said he expects weakness in revenue to continue into the fourth quarter. And Sears Holdings (SHLD) reported a deepening loss on poor sales. Still, there was some good corporate news. 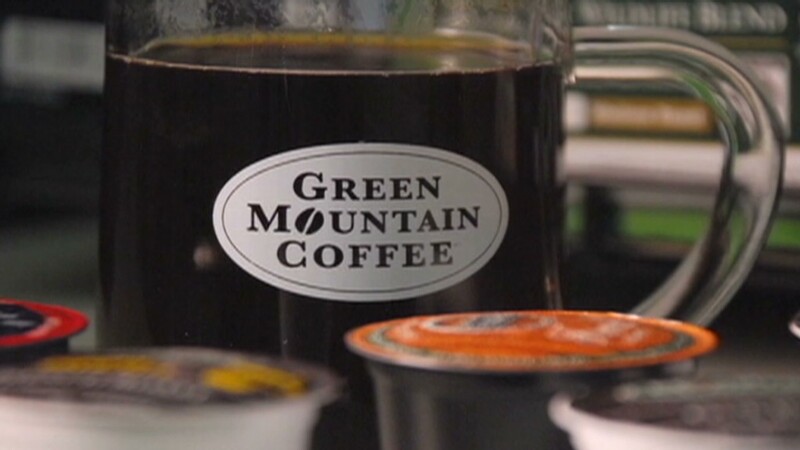 Shares of Green Mountain Coffee Roasters (GMCR) soared following quarterly earnings that beat market expectations. The company also boosted its stock buyback and announced that it will begin to pay a dividend. "$GMCR to borrow Carl Icahn's word: "it's no-brainer to buy this one," said StockTwits trader JustRingDRegister. "GMCR is a Brewer not only a no-brainer. It will percolate up and up!" But other traders worried that Green Mountain may have run too far too fast. "$GMCR: sold my long position and went short," said contrarianspeculator. "Shares have gone up too far in too short of a time frame and need to correct Bearish." The Fed also remained in focus Thursday. Stocks finished lower Wednesday after minutes from the latest Fed meeting revealed that officials may start winding down their stimulus program for reasons other than an improving job market. As investors bet that the Fed may move to cut back on, or taper, its bond buying program sooner rather than later, they moved away from Treasuries, pushing the 10-year yield to 2.83%. When investors started to worry in the late spring that the Fed could taper at its September meeting, the 10-year yield rose from 1.6% in May to almost 3% in just a few months. Meanwhile, the Senate Banking Committee approved Janet Yellen's nomination to become the first woman to lead the Federal Reserve Thursday morning. Yellen is the current vice chair of the Fed, has been nominated to chair the Fed after Ben Bernanke's term ends in early 2014. Her nomination now moves to the full Senate for a vote. European markets closed mixed. The CAC 40 in Paris slipped after new data showed a contraction in French private sector output in November. Asian markets were also mixed. Hong Kong and Shanghai's indexes fell after Chinese manufacturing stumbled for the first time in four months. But Japan's Nikkei surged almost 2% as the Bank of Japan expressed optimism about the country's recovery and said it would make no changes to its stimulus program.